Well it's a cold, rainy day here in Southern Illinois today. Not unusual for this time of year. The leaves are starting to turn to their beautiful fall colors. I am looking forward to the weekend with some good food and some quality time with good friends. I hope yours is enjoyable as well. 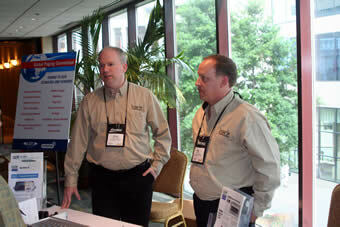 And another one, from Rick McMichael of Preferred Wireless—a loyal supporter of the newsletter for several years. 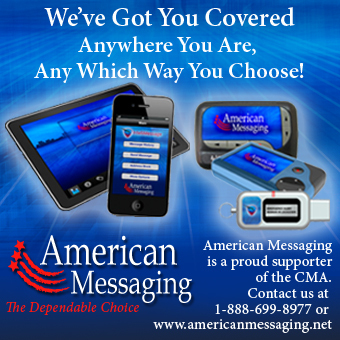 check out the Preferred Wireless ad in each newsletter for reconditioned paging (infrastructure) equipment. 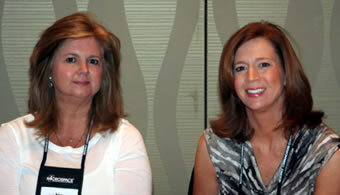 I hope to receive some more good ideas about niche markets for paging to share with our readers. How about from you? Please note the article, “PAGING IN A DIGITAL WORLD” sent in by my good friend Jerry Vargas, a system engineer at Tait Communications. Jerry was the group leader of the paging-systems engineering team that reported to me when I last worked for Motorola's Latin American Paging division in Boynton Beach, Florida. Ahhh . . . those were the days, but that is a story for another time. 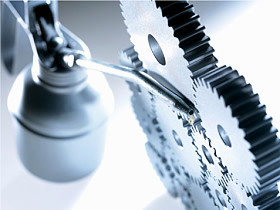 You have heard that “the squeaking wheel gets the oil” — well, squeak, squeak, squeak! 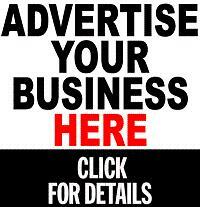 This newsletter is made possible by donations from readers and advertisements from vendors. Information on how to do this is in the column to your right. Thank you. 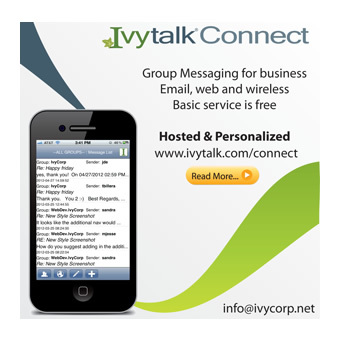 This is a weekly newsletter about Wireless Messaging. You are receiving this because I believe you have requested it. This is not a SPAM. If you have received this message in error, or you are no longer interested in these topics, please click here then click on "send" and you will be promptly removed from the mailing list. “DID YOU HEAR THE LATEST NEWS ABOUT PAGING?” PROBABLY NOT. 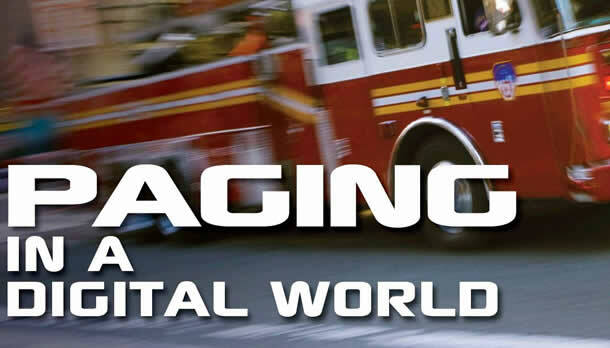 We tend to think of paging as very “last millennium.” Yet while cell phones and text messaging have effectively terminated two-way paging, one-way paging remains a prevalent, critical communications tool in sectors such as EMS, hospitals and fire fighting. With the advent of digital radio technologies such as APCO P25, what options do emergency responders have to continue support for paging users? Paging, or alerting, is a highly reliable and very low cost method for providing one-way-short communications to low-complexity radio devices. It can flow from a dedicated radio dispatcher, over the telephone system, even from your computer via the Internet. The transmissions within a paging system can be analog or binary. Analog pagers receive audio tones or voice transmissions within a carrier frequency. With binary transmission, the receiver looks for frequency shifts above and below a carrier frequency. This is referred to as FSK-NRZ (Frequency Shift Keying Non Return to Zero). Shifts above and below the carrier are identified as binary data, ones and zeros. Binary data transmission rates (baud rates) are defined by bits per second, where each bit is a binary one or zero. The greater the baud rate, the faster the transmission speed and the less air time needed for each transmission. Paging systems can be simulcast or non-simulcast. Non-simulcast implies a single base station providing coverage over a building, hospital, or village. 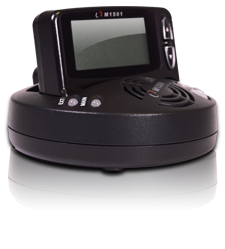 A simulcast system with multiple base stations can provide coverage over much larger areas such as counties. This is the case with Tait QS2 communications. Paging transmissions consist of the address of the recipient pager (CAP code) and the message. There are multiple analog and binary coding formats used for addressing pagers. One analog address format is known as “Two-Tone” and uses 110 tones ranging from 67 Hz to 2468.5 Hz to provide up to 3,540 unique address codes. An alternative address format is 5-tone/6-tone. It consists of 12 frequency tones used to represent the digits 0 thru 9, a repeat number tone, and a special tone. The address of the pager is represented by five digits, or tones. This format is capable of multiple addressing; using the sixth tone and capacity is around 100,000 addresses. There are two important binary addressing formats. Golay Sequential Coding (GSC) allows the pager to have up to four different addresses and provides a system capacity of 400,000 users. More popular is the Post Office Code Standardization Advisory Group (POCSAG) format which uses up to four addresses per pager and with capacity for two million addresses. Originally, the POCSAG data delivery speed was defined as 512 baud. On-going developments of the protocol and hardware have doubled the speed with POCSAG 1200, and then doubled again with POCSAG 2400. Many Public Safety agencies are located in rural communities. Many of them, particularly rural fire departments, depend heavily on volunteers. They use paging as a reliable and affordable means of communication with volunteers. Pagers are small, non-intrusive, and usually silent until an alert is received. "ONE-WAY-PAGING REMAINS A PREVALENT CRITICAL COMMUNICATIONS TOOL"
For P25 digital communications, conventional wisdom suggests that paging is not supported. This is one reason why some cities or counties that implement a digital radio system have an additional analog network to support paging. However, this may not be the case in the future. The innovative deployment of paging on a P25 Simulcast network in North Dakota illustrates this point. The city required a secure and resilient system capable of alerting (paging) each Fire Station from within the Sheriff's Department Dispatch Center's existing Centracom Elite console. This would run over a new P25 Fire Department channel. The alerting function had to be capable of alerting individual or multiple Fire Stations. The alert also had to be broadcast over the receiving Fire Station's public address system. The city also required the alert to activate station lighting and to open the main garage doors to minimize fire unit response times. A custom alert solution was implemented through the Call-Alert and Talk-group functions within the P25 standard. Each fire station was assigned a talk group with an additional talk-group designated as “All-Call Fire Alert.” This is used to alert all of the Fire Stations at once. In an emergency, the dispatch operators can now alert each or any combination of Fire Stations. A message describing the emergency can be heard over the PA system while the station's lights are switched on and the main doors opened. This combination of functions saves precious time during an emergency and ensures the highest possible level of service to the city. The solution allowed the fire department to move onto the fully digital P25 radio system, offering seamless interoperability with other public safety agencies, while continuing to support the voice and paging traffic that its fire fighters rely on. Source: The Tait Connection , Issue 2, 2012, pp 18-19. Dr. Blinky serves as a physical, blinking extension of your smartphone's notification bar. In other words, it's a beeper for a mobile world. Industrial designer Kotaro Shimogori has taken to crowdfunding site Indiegogo to raise funds for a Bluetooth-powered appliance that functions as a physical extension of your smartphone's notifications bar. But if you lived through the 1990s with me, you probably recognize Dr. Blinky for what it really is — the resurrection of the pager with a 21st century spin. In a nutshell, Dr. Blinky connects to an app on your Android phone (the iOS app is in progress) that you can configure to blink whenever you want to be notified of a new call, text, e-mail, or whatever. 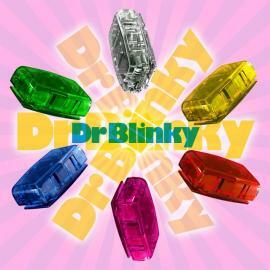 Dr. Blinky can also be set to blink in different patterns for different types of notifications. So if being separated from your phone by the few layers of fabric that make up your purse or your pocket just seems unbearable, perhaps you'll want to chip in a few bucks to the campaign. The crowdfunding project has just gotten started, and early birds who pledge $25 or more can be first in line for one of the 21st century beepers. The site claims the devices will eventually have a retail price of $70. Perhaps Shimogori should join forces with the team behind another Indiegogo campaign we've reported on lately to see if Dr. Blinky might also clip to your license plate to help outsmart red light cameras. 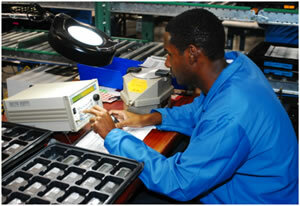 Serialized Tracking through PSSI’s proprietary Work-In-Process (WIP) and shop floor management system PSS.Net. This system allows PSSI to track each product received by employee, work center, lot, model, work order, serial number and location, tracking parts allocated, service, repair and refurbishment actions through each stage of the reverse logistics process. Access to order status and repair reports can be transmitted electronically in formats like FTP, EDI, API, XML or CSV. Selected portions of the BloostonLaw Private Users Update, a newsletter from the Law Offices of Blooston, Mordkofsky, Dickens, Duffy & Prendergast, LLP are reproduced in this section with the firm's permission. The National Telecommunications and Information Administration (NTIA) has issued a Notice of Inquiry (NOI) on behalf of the First Responder Network Authority (FirstNet) to seek public comment on the conceptual network architecture presentation made at the FirstNet Board of Directors' meeting held on September 25, 2012, as well as to invite input on other network design and business plan considerations. NTIA also seeks comment on the general concept of how to develop applications for public safety users as discussed at the FirstNet Board meeting. FirstNet intends to use the input received from this process to shape its efforts to establish the interoperable public safety broadband network based on a single, nationwide network architecture called for under the Middle Class Tax Relief and Job Creation Act of 2012 (Act). Comments in this NTIA Docket No. 120928505-01 proceeding are due November 1, at 5 p.m. EDT. Enables voice services (cellular telephony and push-to-talk (PTT)) both within the FirstNet network as well as to/from other commercial networks, including the public switched telephone network (PSTN). specify any areas in need of further research and development to ensure the success of the proposal. Last month, the FCC adopted a Report and Order (R&O) that reallocated the D Block for "public safety services" and eliminated those rules establishing (providing license authority with respect to) and governing operations of the Public Safety Broadband License (PSBL), as well as the rules providing for the associated public-private partnership with a D Block licensee. The FCC also issued a Public Notice announcing its intent to grant to the First Responder Network Authority (FirstNet), as expeditiously as possible, a nationwide license for use of the existing public safety broadband spectrum and the 700 MHz D Block, i.e., the 758-769 and 788-799 MHz bands, as required by Section 6201(a) of the Middle Class Tax Relief and Job Creation Act of 2012 (Public Safety Spectrum Act). The FCC, at its September open meeting, adopted a Notice of Proposed Rulemaking (NPRM) aimed at repurposing broadcast television spectrum for mobile broadband use through the use of incentive auctions, as contemplated by Congress. The idea of using incentive auctions was originally discussed in the National Broadband Plan as a market-based mechanism to reallocate spectrum for next-generation uses by offering broadcast television licensees financial incentives to relinquish all or part of their licensed spectrum. A portion of the proceeds from a subsequent auction of this spectrum would be used to compensate participating broadcasters, and the remainder would be deposited in the Public Safety Trust Fund (PSTF) to fund a national first responder network, state and local public safety grants, public safety research, and national deficit reduction. The Commission voted to approve the Incentive Auction NPRM (formally called "Expanding the Economic and Innovation Opportunities of Spectrum Through Incentive Auctions"), and it seeks comment from the public and interested stakeholders. Congress anticipated that the broadcast incentive auction would have three major elements: First, a "reverse auction" in which TV broadcast licensees would submit bids to voluntarily relinquish their spectrum rights in exchange for a share of later auction proceeds; second , a "repacking" of the remaining broadcasters into a smaller band segment, freeing up a contiguous portion of the ultra-high frequency (UHF) band for other uses; and third , a "forward auction" of initial licenses for flexible use of the newly available UHF spectrum. determination of payment amounts to winners. The FCC seeks comment on all of these issues, for example, whether to collect sealed bids or use a multiple round bid collection format such as a descending clock auction. Repacking involves reorganizing the broadcast television bands so that the television stations that remain on the air after the incentive auction occupy a smaller portion of the UHF band, subject to interference and other constraints imposed by the Spectrum Act and treaties with Canada and Mexico. The forward auction will resemble competitive bidding procedures that the Commission has utilized in the past, but with some important differences. In particular, the FCC will not know in advance the amount of spectrum it can make available in the forward auction, or the specific frequencies in any given geographic location, until the reverse auction and repacking are completed. Accordingly, instead of a single band plan with identified frequencies, a set number of spectrum blocks and a uniform set of geographic area licenses, the auction design must provide a framework that is flexible enough to accommodate varying amounts of newly available spectrum in different locations. Auction Design. The FCC seeks comment on auction design choices and the tradeoffs they present. For both the reverse and forward auctions, it invites comment on different procedures to collect bids, determine which bids are accepted, and what each bidder pays or receives in payment. The Commission also seeks comment on methodologies for the repacking process, which is part of the process for determining which broadcaster bids will be accepted in the reverse auction. And the FCC seeks comment on an Incentive Auction Rules Option and Discussion report prepared by Auctionomics and Power Auctions illustrating a comprehensive approach to the auction design choices presented. Further, the FCC invites comment on how to design the incentive auction so as to facilitate the participation of a wide array of broadcasters and make it as easy as possible for them to submit successful bids. Participation in the Reverse Auction. The FCC said it interprets the Spectrum Act to limit eligibility to participate in the reverse auction to commercial and noncommercial full power and Class A broadcast television licensees. The FCC invites comment on whether to establish reverse auction bid options including but not limited to those identified in the Spectrum Act (to go off the air, to move from a UHF to a VHF television channel, and to share a channel). Repacking. The FCC invites comment on how to implement Congress's mandate to make "all reasonable efforts" to preserve the "coverage area and population served" of television stations as of the date of enactment of the Spectrum Act. In particular, it proposes to interpret "coverage area" to mean a full power television station's "service area" as defined in the Commission's rules, and the agency seeks comment on several approaches to preserving population served. 600 MHz Band Plan. The FCC seeks comment on a band plan for reclaimed broadcast television spectrum using 5 megahertz blocks, in which the uplink band would begin at channel 51 (698 MHz) and expand downward toward channel 37 based on the amount of reclaimed spectrum, and the downlink band would begin at channel 36 (608 MHz) and likewise expand downward. The FCC seeks comment on establishing 6 megahertz guard bands between mobile broadband use and broadcast use, and proposes to make this guardband spectrum available for unlicensed use. In addition, it seeks comment on a number of alternative band plan approaches. Channel 37. The FCC invites comment on whether to relocate the Radio Astronomy Service and wireless medical telemetry systems now operating on channel 37, and on whether and how to address the post-auction availability of UHF band spectrum for fixed broadcast auxiliary stations, low power auxiliary stations, and unlicensed wireless microphones. Unlicensed Use of Spectrum. The FCC invites comment on measures that would make a substantial amount of spectrum available for unlicensed uses, including a significant portion that would be available on a uniform nationwide basis for the first time. Television white spaces will continue to be available for unlicensed use in the repacked television band. In addition, the FCC seeks comment on making the guardband spectrum in the 600 MHz band plan available for unlicensed use, making channel 37 available for such use, and making two channels currently designated for wireless microphone use available for white space devices. Transition. The FCC seeks comment on how to implement the repacking of broadcast television spectrum and clear the reclaimed spectrum as expeditiously as possible while minimizing disruption to broadcast television stations and their viewers. In particular, the Commission proposes streamlined broadcast license modification procedures, invites comment on reasonable deadlines for stations to transition to any new channel assignments or cease broadcasting, and proposes to allow stations eligible for reimbursement of relocation costs to elect between actual cost-based payments or advance payments based on estimated costs. The text of this NPRM in this GN Docket No. 12-268 is available online as FCC 12-118 . Of particular interest is the separate statement of Commissioner Ajit Pai, who approved in part, and concurred in part with the decision. He said that if the FCC makes the right decisions, "We will free up badly needed spectrum for mobile broadband, which will promote infrastructure investment, economic growth, and job creation. We will preserve a vibrant and free, over-the-air broadcast service, including by providing needed funding for those that wish to stay in broadcasting but choose to channel share or move to Very High Frequency (VHF) spectrum. And we will raise financial resources to help build a nationwide public safety broadband network, reduce the federal budget deficit, and advance next-generation 911 service. If, on the other hand, we do not get this right, we could end up with a Rube Goldberg contraption that will produce a failed auction." Whether the Commission would be able to finish its work without undertaking a further notice and comment. This being — literally — the most complex spectrum auction in world history, I think we should keep all of our options open, including measuring twice before making the cut, as carpenters say. LEARN Program. In conjunction with the Incentive Auction NPRM, the FCC launched the Broadcaster LEARN (Learn Everything About Reverse-Auctions Now) Program. The LEARN Program is designed to offer broadcasters valuable information about the unique financial opportunities of incentive auctions and engage the broadcaster community throughout the entire incentive auction planning, design and execution processes. The first LEARN Program workshop is scheduled for Friday, October 26, 2012. More details on this workshop will be announced soon. xG Technology recently met with FCC staff to describe the latest developments in cognitive radio technology, including its rapid deployment and its interference avoidance and mitigation capabilities, in meeting public safety and homeland security goals in emergency and mission critical situations. The xG presentation included a live demonstration of a self-contained, single-cell xMax system in a commercially obtained vehicle that had an antenna mast and satellite uplink equipment installed. 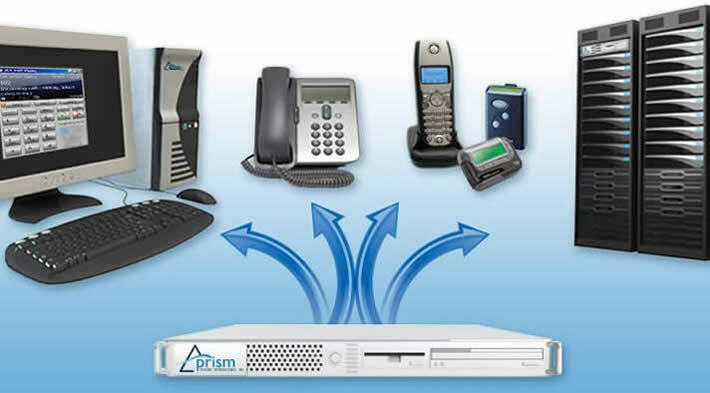 The demonstration used commercial off-the-shelf (COTS) electronic equipment that was used to send and receive push-to-talk calls, voice calls, text messages, and Internet data applications through the use of preproduction versions of the xMod (an xMax to WiFi, USB, Ethernet bridge) and the xMax system to and from various locations. The entire demonstration was successfully conducted in the unlicensed 900 MHz spectrum in the Washington, D.C., area. We note that xG is a BloostonLaw client. Bankrupt LightSquared has proposed to share spectrum the federal government uses for weather balloons with the L-Band satellite spectrum the company already holds to launch its controversial Long Term Evolution (LTE) network, according to FierceBroadbandWireless. LightSquared approached the FCC with a proposal under which the company would combine the 5 MHz it uses for satellite service at 1670-1675 MHz with frequencies in the 1675-1680 MHz band, currently used by National Oceanographic and Atmospheric Administration (NOAA) weather balloons, said PCWorld. The company would share the NOAA spectrum rather than gaining exclusive rights to it. Such an arrangement would give the company 10 MHz for downstream LTE traffic. The company would employ another pair of bands totaling 20 MHz—which it uses for satellite services now—for LTE traffic going upstream from users' mobile devices, said PCWorld. The total 30 MHz of spectrum would be 10 MHz less than LightSquared had originally intended to use for its LTE network. According to FierceBroadbandWireless, "LightSquared is licensed for MSS operation in portions of the 1525-1544 MHz and 1545-1559 MHz downlink bands and the 1626.5-1645.5 MHz and 1646.5-1660.5 MHz uplink bands. LightSquared's spectrum in the 1525-1559 MHz block sits below spectrum allocated for GPS. Most GPS devices are not designed to ignore out-of-band signals, such as those produced by LightSquared's proposed network, which led the FCC to cancel LightSquared's conditional waiver for terrestrial service earlier this year." The FCC's Office of Managing Director has requested comment on the Government Accountability Office (GAO) report titled, Federal Communications Commission, Regulatory Fee Process Needs to Be Updated. In its report, GAO, observes, among other things, that the Regulatory Fees Reform Notice of Proposed Rulemaking (NPRM), released July 17, "proposes some fundamental changes to FCC's regulatory fee program that relate to many of the concerns raised in this report." The NPRM sought comment on proposals to reform the Commission's policies and procedures for assessing and collecting regulatory fees. The Commission published this Regulatory Fees Reform NPRM in the Federal Register, establishing a comment deadline of September 17, 2012 and reply comment deadline of October 16, 2012. The FCC has now extended those comment deadlines to include the GAO Report. Comments in this MD Docket No. 12-201 proceeding are now due October 9 for the GAO Regulatory Fees Report, and replies are due October 23 for both the report and the Regulatory Fees Reform NPRM. The FCC has issued a Memorandum Opinion and Order granting the joint petition of Diamond Communications LLC, Diamond Towers LLC, Diamond Towers II LLC, and Diamond Towers III LLC for waiver of Section 17.47(b) of the Commission's Rules. This section provides that the owner of any antenna structure that is registered with the Commission and has been assigned lighting specifications pursuant to Part 17 "[s]hall inspect at intervals not to exceed 3 months all automatic or mechanical control devices, indicators, and alarm systems associated with the antenna structure lighting to ensure that such apparatus is functioning properly." Diamond estimates that it will spend over $105,000 and over 2,000 person-hours annually complying with the quarterly inspection requirement for the towers subject to its petition. Diamond argues that the quarterly inspections of antenna structure lighting monitoring systems mandated by Section 17.47(b) of the Rules have been rendered unnecessary for its towers that employ the Flash Technology Tower Monitoring System (FTTMS) because of technological advancements associated with that system. Diamond asked the Commission to waive the rule to permit annual inspections instead for Diamond's antenna structures that use this system. The FCC granted Diamond request for relief from its obligations as tower owner under Section 17.47(b) of the Commission's Rules to perform quarterly inspections of the monitoring systems on these towers, and instead permit it to perform annual inspections. The FCC further determined, on its own motion, that it will grant similar waivers to other tower owners using the FTTMS, in an expedited manner, upon submission and review of a streamlined petition containing certain certifications. The FCC has issued a Notice of Apparent Liability for Forfeiture and Order (NAL), proposing to fine Bryn Mawr Hospital, licensee of Private Land Mobile Radio stations in Bryn Mawr, Pennsylvania, $8,000 for apparently willfully and repeatedly violating Section 301 of the Communications Act and Sections 1.903(a) and (b) of the Commission's rules by operating radio transmitting equipment on unauthorized frequencies. The FCC further directed Bryn Mawr Hospital to submit a written statement signed under penalty of perjury, within 30 calendar days from release of the NAL, stating that it is now operating its radio transmission equipment consistent with Section 301 of the Act and Sections 1.903(a) and (b) of the Commission's rules. During inspections on October 12, 2011 and October 13, 2011, Enforcement Bureau agents found that Bryn Mawr Hospital was operating handheld radios on the frequency 469.4875 MHz and a repeater system on the frequency pair 464.4875 MHz/469.4875 MHz. Bryn Mawr Hospital violated the foregoing sections of the Act and Rules because its FCC licenses for Private Land Mobile stations WPUT970 and WQCB705 do not authorize operation of handheld radios on the frequency 469.4875 MHz or a repeater system on the frequency pair 464.4875 MHz/469.4875 MHz. The FCC has issued a Forfeiture Order (Order), fining James Cable, LLC, owner of antenna structure number 1016806 in Durant, Oklahoma (the Antenna Structure), $10,000 for willful and repeated violation of Section 17.50 of the Commission's rules (Rules). The noted violation involved James Cable's failure to clean or repaint the Antenna Structure as often as necessary to maintain good visibility. The FCC said it is undisputed that, during the inspection by FCC officials on September 6, 2011, the paint on the Antenna Structure was severely faded and chipped and the structure was in need of repainting. Thus, based on the evidence, the FCC issued the forfeiture to James Cable for willfully and repeatedly violating Section 17.50 of the Rules by failing to clean and repaint the Antenna Structure to maintain good visibility. The FCC's Wireless Telecommunications Bureau (WTB) seeks comment on a request for waiver of the Commission's January 1, 2013 VHF-UHF narrowbanding deadline, filed by the City of Chicago Office of Emergency Management Communications. Section 90.209(b)(5) of the Commission's rules requires private land mobile radio (PLMR) licensees in the 150-174 MHz and 450-512 MHz bands to operate using channel bandwidth of no more than 12.5 kHz, or equivalent efficiency, by January 1, 2013. Specifically, the City of Chicago is seeking a 24-month conditional extension of time to complete the narrowbanding of its VHF/UHF facilities by January 1, 2015. The City of Chicago is the third largest city in the United States, with 9.8 million inhabitants. The City of Chicago metropolitan area extends outside the county seat of Cook County, Illinois, into neighboring DuPage County. The City is comprised of approximately 234 square miles of urban landscape, including 6.9 miles of the Lake Michigan waterfront, and both the Calumet and Chicago rivers flow entirely or partially through key parts of the City. The City of Chicago is both the second largest central business district and labor pool in the nation, and hosts millions of domestic and international visitors each year as one of the most important worldwide international centers for commerce, finance, and trade. To help manage and protect the City's residents and visitors, Chicago employs thousands of first responders and other employees who require the use of public safety communications. However, due to budgetary and hiring constraints, the City employs only sixteen radio technicians, who are solely responsible for the maintenance, installation, and upgrading of the City's numerous and intricate radio systems. Despite limited manpower and resources, these technicians have been able to perform maintenance and to complete a significant number of necessary and mandated upgrades to the City of Chicago's extensive public safety radio networks. The City of Chicago's request describes its past and continuing efforts to bring its mission critical communications networks into compliance with the January 1, 2013 narrowbanding mandate, and states it is near completion of its multi-site UHF T-band fire digital system, among other public safety radio projects. The City of Chicago notes, however, that it has "been occupied in responding to other regional and national initiatives such as expanding its video surveillance system and engagement in Operation Virtual Shield in cooperation with the Department of Homeland Security and Department of Justice." The City of Chicago claims that it has been working diligently and in good faith towards narrowbanding, making substantial investments in new infrastructure and reprogramming existing equipment. However, because of budget constraints and the diversion of financial resources to other federal projects, the City of Chicago claims that it is unable to complete narrowbanding by the January 1, 2013 target. Therefore, given its considerable efforts towards narrowbanding to date, the City of Chicago contends that it is entitled to a waiver and extension of the deadline. Comments in this WT Docket No. 99-87 proceeding are due October 23, and replies are due November 2. The FCC's Public Safety and Homeland Security Bureau will host a workshop focusing on the upcoming Communications Security, Reliability, and Interoperability Council (CSRIC) test bed, and issues related to improving indoor location accuracy for wireless 9-1-1 calls. The workshop will take place on Wednesday, October 24, 2012, from 9:30 a.m. to 2:30 p.m. and will be held in the Commission Meeting Room at FCC Headquarters, located at 445 12th Street, SW, Room TW-C305, Washington, DC 20554. Public Safety entities can benefit from the proposed workshop. Ryan Hutto often depends on his wife, Shannon, for phone queries. "I kind of feel like his personal assistant," she said. Rachel Crosby speaks about her BlackBerry phone the way someone might speak of an embarrassing relative. "I'm ashamed of it," said Ms. Crosby, a Los Angeles sales representative who said she had stopped pulling out her BlackBerry at cocktail parties and conferences. In meetings, she says she hides her BlackBerry beneath her iPad for fear clients will see it and judge her. The BlackBerry was once proudly carried by the high-powered and the elite, but those who still hold one today say the device has become a magnet for mockery and derision from those with iPhones and the latest Android phones. Research in Motion may still be successful selling BlackBerrys in countries like India and Indonesia, but in the United States the company is clinging to less than 5 percent of the smartphone market — down from a dominating 50 percent just three years ago. The company's future all depends on a much-delayed new phone coming next year; meanwhile RIM recorded a net loss of $753 million in the first half of the year compared with a profit of more than $1 billion a year earlier. Among the latest signs of the loss of cachet: One of the first steps Marissa Mayer took as Yahoo's newly appointed chief executive to remake the company's stodgy image was to trade in employees' BlackBerrys for iPhones and Androids. BlackBerrys may still linger in Washington, Wall Street and the legal profession, but in Silicon Valley they are as rare as a necktie. As the list shrinks of friends who once regularly communicated using BlackBerry's private messaging service, called BBM, many a BlackBerry owner will not mince words about how they feel about their phone. "I want to take a bat to it," Ms. Crosby said, after waiting for her phone's browser to load for the third minute, only to watch the battery die. "You can't do anything with it. You're supposed to, but it's all a big lie." The cultural divide between BlackBerry loyalists and everyone else has only grown more extreme over the last year as companies that previously issued employees BlackBerrys — and only BlackBerrys — have started surrendering to employee demands for iPhones and Android-powered smartphones. Out in the world, the insults continue. Victoria Gossage, a 28-year-old hedge fund marketer, said she recently attended a work retreat at Piping Rock Club, an upscale country club in Locust Valley, N.Y., and asked the concierge for a phone charger. "First he said, 'Sure.' Then he saw my phone and — in this disgusted tone — said, 'Oh no, no, not for that.' "
"You get used to that kind of rejection," she said. "BlackBerry users are like Myspace users," sneers Craig Robert Smith, a Los Angeles musician. "They probably still chat on AOL Instant Messenger." BlackBerry outcasts say that, increasingly, they suffer from shame and public humiliation as they watch their counterparts mingle on social networking apps that are not available to them, take higher-resolution photos, and effortlessly navigate streets — and the Internet — with better GPS and faster browsing. More indignity comes in having to outsource tasks like getting directions, booking travel, making restaurant reservations and looking up sports scores to their exasperated iPhone and Android-carting partners, friends and colleagues. "I feel absolutely helpless," said Ms. Gossage. "You're constantly watching people do all these things on their phones and all I have going for me is my family's group BBM chats." Ryan Hutto, a director at a San Francisco health information company, said he frequently depended on others, often his wife, for music playlists, navigation and sports scores. "After two or three questions, people start to get irritated," Mr. Hutto said. His wife, Shannon Hutto, says with a sigh: "Anytime we go anywhere, I always have to pull up the map. If we're searching for a restaurant, I pull up the Yelp app. If we need a reservation, I pull up OpenTable. I kind of feel like his personal assistant." Still, a few BlackBerry users say they're sticking with the device, mainly because of the BlackBerry's efficient, physical keyboard. "I use my BlackBerry by choice," said Lance Fenton, a 32-year-old investor who frequently travels and needs to send e-mails from the road. "I can't type e-mails on touch-screen phones." Mr. Fenton said he could not wrap his head around iPhone fever. "I constantly ask people, 'What is so great about it?' and they have these nonsensical answers," he said. "Someone told me I'm missing out on some app that maps their ski runs. I ski four days a year. On the road, I don't need a ski app." RIM's most recent efforts to hold on to loyal customers, as well as software developers building apps for its next generation of phones scheduled to be available next year, have elicited universal cringes. In a recent promotional video, Alec Saunders, RIM's vice president for developer relations, is shown belting out a rock song titled "Devs, BlackBerry Is Going to Keep on Loving You," a riff on the 1981 power ballad by REO Speedwagon "Keep on Loving You." "This is the sign of a desperate company," said Nick Mindel, a 26-year-old investment analyst. "Come on, BlackBerry, I always had some faith, but you just lost a customer. Frankly, I don't think they can afford to lose many more." After eight years with a BlackBerry, Mr. Mindel said he just joined the wait list for the iPhone 5. When it arrives, he said, "I'm considering removing my BlackBerry battery, pouring in cement, and using the BlackBerry as an actual paperweight." A version of this article appeared in print on October 16, 2012, on page B1 of the New York edition with the headline: BlackBerry as Black Sheep in Smartphones. The new pagers are similar in appearance to the old ones, but the reduced bandwidth of the system should improve efficiency, county officials said. A new $3.5 million emergency-services paging system became operational Tuesday morning — an advance that improves communications and meets new federal requirements, the Chester County Commissioners announced in a press release. At 8 a.m. Tuesday, the Chester County Department of Emergency Services switched fire and emergency medical services' (EMS) voice-alert paging to a new system to meet Federal Communications Commission (FCC) requirements, the release said. The FCC ordered radio communications devices in certain portions of the Very High Frequency (VHF) band to reduce channel bandwidth from 25 Kilohertz (KHz) to 12.5 KHz. This "narrowbanding" process will allow more efficient use of radio spectrum and is required to be completed throughout the nation by January 1, the release said. Patty Mains, a spokeswoman for the county's Department of Emergency Services, said the transition was similar to going from one computer system to another. "It went very smoothly," she said, describing the changeover . Mains explained that the routine for emergency responders remains unchanged. They simply have pagers that are "a bit shinier" than the old ones. However, the new system should improve efficiency in the long run, she said. The commissioners said over $500,000, obtained through a federal grant, will help offset the total cost. East Brandywine Fire Company sponsored the grant application on behalf of the Chester County Fire Chief's Association and the Chester County EMS Council. Congressman Jim Gerlach supported the award of the grant. Chester County Commissioners' Chairman Terence Farrell applauded the compliance with federal regulations, and Commissioner Kathi Cozzone noted that the investment "keeps Chester County at the forefront of technology" and safety. "The $3 million remaining cost for the new system is a necessary investment for upgrading our equipment, to ensure our emergency responders are working with reliable technologies for decades to come," said Commissioner Ryan Costello. Chester County's Department of Emergency Services has been working on this project for more than one year, consulting with the county's emergency responder community for the design and testing phases of the new system, the release said. Chester County Fire Chief's Association president Ray Stackhouse said that he appreciated the cooperative approach used in planning the project, which used emergency responders in the design and testing phases to ensure the system meets operational requirements. The FCC appears to be stepping up efforts to prohibit signal jamming. The Commission's Enforcement Bureau has launched a dedicated jammer tip line — 1-855-55-NOJAM (or 1-855-556-6526) — to make it easier for the public to report the use or sale of illegal cell phone, Global Positioning Satellite (GPS) or other signal jammers. they observe a jammer being operated on a local bus, train or other mass transit system. During the past two weeks, the FCC has targeted some 23 signal jammer ads on Craigslist, and has issued several citations. Adopt specific monetary penalties, as required by the Tax Relief Act, for contacting or disclosing numbers contained in the PSAP registry. Specifically, in the case of violations of the requirement prohibiting disclosure or dissemination of registered numbers, the Tax Relief Act provides for monetary penalties of not less than $100,000 per incident nor more than $1,000,000 per incident. For violations of the prohibition on robocalling numbers on the registry, the Tax Relief Act provides for monetary penalties that are not less than $10,000 per call or text nor more than $100,000 per call or text. The rules also address concerns voiced by the public safety community in comments to the FCC about the potential problems unwanted texts to PSAPs may pose in the future. Following today's action to establish the PSAP Do Not Call registry, Commission staff will continue to work on the registry's operational details. Once this work is complete, the Consumer and Governmental Affairs Bureau will release a Public Notice announcing the specific operational details, including the effective date for compliance with the new rules. At our deadline, the text of the Report and Order was not available. Japan-based Softbank Corp. and Sprint Nextel Corp. have announced that they have entered into a series of definitive agreements under which SoftBank will invest $20.1 billion in Sprint, consisting of $12.1 billion to be distributed to Sprint stockholders and $8.0 billion of new capital to strengthen Sprint's balance sheet. Approximately 55% of current Sprint shares will be exchanged for $7.30 per share in cash, and the remaining shares will convert into shares of a new publicly traded entity, New Sprint. Following closing, SoftBank will own approximately 70% and Sprint equity holders will own approximately 30% of the shares of New Sprint on a fully-diluted basis. SoftBank's cash contribution, expertise in the deployment of next-generation wireless networks and track record of success in taking ownership positions in mature markets from larger telecommunications competitors are touted as creating a stronger, more competitive New Sprint that will deliver significant benefits to U.S. consumers. The transaction has been approved by the Boards of Directors of both SoftBank and Sprint. Completion of the transaction is subject to Sprint stockholder approval, customary regulatory approvals and the satisfaction or waiver of other closing conditions. The companies expect the closing of the merger transaction to occur in mid-2013. SoftBank will form a new U.S. subsidiary, New Sprint, which will invest $3.1 billion in a newly issued Sprint convertible senior bond following this announcement. The convertible bond will have a 7-year term and 1.0% coupon rate, and will be convertible, subject to regulatory approval, into Sprint common stock at $5.25 per share. Immediately prior to the merger, the bond will be converted into shares of Sprint, which will become a wholly-owned subsidiary of New Sprint. Following Sprint stockholder and regulatory approval, and the satisfaction or waiver of the other closing conditions to the merger transaction, SoftBank will further capitalize New Sprint with an additional $17 billion and effect a merger transaction in which New Sprint will become a publicly-traded company and Sprint will survive as its wholly-owned subsidiary. Of the $17 billion, $4.9 billion will be used to purchase newly issued common shares of New Sprint at $5.25 per share. The remaining $12.1 billion will be distributed to Sprint stockholders in exchange for approximately 55% of currently outstanding shares. The other 45% of currently outstanding shares will convert into shares of New Sprint. SoftBank will also receive a warrant to purchase 55 million additional Sprint shares at an exercise price of $5.25 per share. Pursuant to the merger, holders of outstanding shares of Sprint common stock will have the right to elect between receiving $7.30 per Sprint share or one share of New Sprint stock per Sprint share, subject to proration. Holders of Sprint equity awards will receive equity awards in New Sprint. Post-transaction, SoftBank will own approximately 70% and Sprint equity holders will own approximately 30% of New Sprint shares on a fully-diluted basis. SoftBank is financing the transaction through a combination of cash on hand and a syndicated financing facility. The transaction does not require Sprint to take any actions involving Clearwire Corporation other than those set forth in agreements Sprint has previously entered into with Clearwire and certain of its shareholders. After closing, Sprint's headquarters will continue to be in Overland Park, Kansas. New Sprint will have a 10-member board of directors, including at least three members of Sprint's board of directors. Mr. Hesse will continue as CEO of New Sprint and as a board member. LIGHTSQUARED ASKS FCC TO DECLARE THAT CERTAIN BROADBAND BUILD-OUT REQUIREMENTS NO LONGER APPLY: The FCC has issued a Public Notice seeking comment on the request by LightSquared Subsidiary LLC and One Dot Six Corp. that the Commission declare that the build-out milestones in the Harbinger Transfer Order no longer apply. In March 2010, as part of the Commission's approval of the acquisition of SkyTerra Communications, Inc. and its subsidiaries and affiliates by investment funds managed by Harbinger Capital Partners, the Commission adopted a set of conditions, including one that required SkyTerra (which Harbinger renamed LightSquared after the acquisition) to meet stringent build-out and coverage milestones for a network to provide mobile broadband services to the public. Another condition requires LightSquared to provide terrestrial coverage to at least 100 million people in the United States by December 31, 2012. Additional milestones require LightSquared to provide terrestrial coverage to at least 145 million people in the United States by December 31, 2013, and to at least 260 million people in the United States by December 31, 2015. LightSquared requests a declaration that these milestone conditions no longer apply in light of events that have transpired since the release of the Harbinger Transfer Order. LightSquared argues that its ability to provide terrestrial coverage has been constrained by the need to resolve interference concerns relating to the operations of Global Positioning System (GPS) satellite services in adjacent frequency bands. In particular, LightSquared states that its ability to provide terrestrial coverage using an Ancillary Terrestrial Component ("ATC") has been rendered uncertain by the Commission's proposal in February 2012 to suspend indefinitely or revoke all of the ATC authorizations on which LightSquared's terrestrial network relies. LightSquared asks for a declaration from the Commission that the build-out milestones in the Harbinger Transfer Order no longer apply, and that LightSquared is relieved of those conditions until the status of LightSquared's ATC authorizations is clarified. Comments/Petitions to Deny are due November 9; Oppositions are due November 19; and replies are due November 28. Reference IB Docket No. 12-296. FCC PROPOSES CHANGES TO RULES EVALUATING FOREIGN CARRIER ENTRY INTO U.S. MARKET: The FCC has issued a Notice of Proposed Rulemaking (NPRM), proposing changes to the criteria under which it considers certain applications from foreign carriers or affiliates of foreign carriers for entry into the U.S. market for international telecommunications services and facilities. Specifically, the FCC proposes to eliminate, or, in the alternative, simplify the effective competitive opportunities test (ECO Test) that applies to Commission review of international section 214 authority applications filed by foreign carriers or their affiliates. The FCC said that if it maintains the ECO Test, it also proposes to codify in in its rules the ECO Test criteria that would apply to cable landing license applications filed by foreign carriers or entities, or their affiliates, and notifications of foreign carrier affiliations filed by U.S. cable landing licensees. In initiating this proceeding, the FCC seeks to eliminate or modify rules that may be outdated and unnecessary. It anticipates reducing to the extent possible the regulatory costs and burdens imposed by its current procedures, while improving transparency with respect to its filing requirements. The FCC also seeks to promote competition, while protecting important interests related to national security, law enforcement, foreign policy, and trade policy. Comments in this IB Docket No. 12-299 proceeding will be due 30 days after publication in the Federal Register, and replies will be due 20 days thereafter. FEBRUARY 1: FCC FORM 502, NUMBER UTILIZATION AND FORECAST REPORT. Any wireless or wireline carrier (including paging companies) that have received number blocks—including 100, 1,000, or 10,000 number blocks—from the North American Numbering Plan Administrator (NANPA), a Pooling Administrator, or from another carrier, must file Form 502 by February 1. Carriers porting numbers for the purpose of transferring an established customer's service to another service provider must also report, but the carrier receiving numbers through porting does not. Resold services should also be treated like ported numbers, meaning the carrier transferring the resold service to another carrier is required to report those numbers but the carrier receiving such numbers should not report them. Reporting carriers are required to include their FCC Registration Number (FRN). Reporting carriers file utilization and forecast reports semiannually on or before February 1 for the preceding six-month reporting period ending December 31, and on or before August 1 for the preceding six-month reporting period ending June 30. Apple, as expected, has invited the press to an Oct. 23 event. While it gave sparse details, an iPad Mini, 13-inch MacBook with Retina display and new iTunes are expected. Apple has invited select members of the press to an event Oct. 23 at the California Theatre in San Jose. The event begins at 10 a.m., and what attendees can expect then, Apple didn't say. Though it hardly needs to. Just as the date of the event has been long foretold by the rumor mills, so has the reason for the party: the introduction of a smaller iPad. Or, as it's come to be known until Apple dictates otherwise, the iPad Mini. 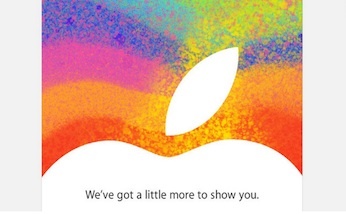 The invitation seems, subtly, to back this up, saying little more than: "We've got a little more to show you." The invitation features a portion of the iconic white apple silhouette against layers of saturated colors, bringing to mind boardwalk souvenirs of layered, colored sand. It's an uncharacteristic invite from a company that prides itself on an aesthetic of understatement and minimalism, suggesting there's perhaps an art element involved, as there is in the stylus-equipped Samsung Galaxy Note 10.1. Jefferies analyst Peter Misek expects the Mini won't be all that Apple shows off Oct. 23. "We believe Apple will unveil [the] iPad Mini on 10/23 along with a 13-inch Retina MacBook," he wrote in an Oct. 16 research note. "We [also] believe there is a chance a new iTunes is unveiled with streaming music and Facebook integration." Later in the report, Misek went into slightly more detail about the new iTunes, which if it doesn't unveil alongside the iPad Mini, it's expected to hold until the first quarter of 2013. "We think the iTunes upgrade will possibly include offering recommended songs (similar to Pandora) and also possibly song lists (similar to Spotify)," wrote Misek. "As a replacement for Ping, we believe Apple will make it easy for people to Like a song and have it appear on their Facebook live stream," he continued. "People will also be able to receive recommendations based on their friends' selections." The invitation arrived as rival Microsoft not only finally announced pricing for its Surface tablet, which will arrive Oct. 26 with the launch of Windows 8, but launched Xbox Music for its Windows 8 devices. "Whether it's music you've purchased on your smartphone, a music app on your tablet, listening to songs through the living room TV or turning to Internet radio on your PC at work, the music you love is scattered across different services," Microsoft said in an Oct. 16 statement. "Enjoying music today requires too much work." Xbox music will enable users to stream custom-created playlists for free, and stream music they want to own or download-to-own songs. Jerry Johnson, Xbox general manager, made clear during an interview with G4TV exactly whom Microsoft is going after with the service. "This is competitive with iTunes. This is competitive with Spotify. This is competitive with Pandora," Johnson said. "And yes, we see it as a better consumer experience." It sounds as though CEO Steve Ballmer is staying true to the declarations he shouted during a July interview with CRN. "We are not going to leave any space uncovered to Apple," Ballmer insisted, according to the report. "Not the consumer cloud. Not hardware-software innovation. We are not leaving any of that to Apple by itself. Not going to happen. Not on our watch!" The idea I have always liked is one we were working on in Chicago in the late 80's. It was a way to use the paging network to remote control other devices. I was working for Metromedia Paging in Chicago. We had a customer who was a large sign company. 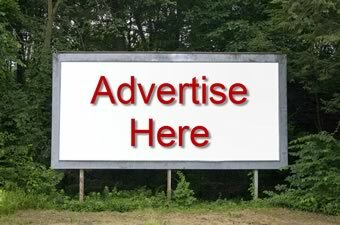 They wanted a way to remote control billboard sign lighting. Up to this point the signs were on timers but due to Day Light Savings Time, they had to send (expensive) electricians out to each sign to change the time 2X per year. The remote control idea would give them significant savings and a way to save electricity by turning off lights that were not needed late at night. They suggested they could sell lighting time to their customers if they wanted them on longer. Shortly after this project started I was transferred to St. Louis to manage the office so I never got to see if it made it into the implementation stage. I believe for projects like this to work, the hardware has to be reasonably priced and software to page the units would have to be written. Nighthawk makes some very nice devices but they are fairly expensive and now may be hard to get due to lack of production. One problem for me is finding the smaller service providers in rural areas that still use the older POCSAG protocol. 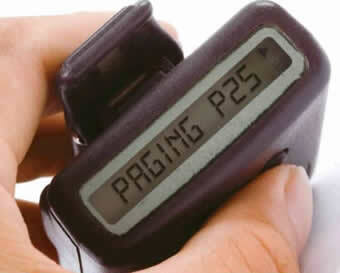 I only sell pagers, and pager related equipment. I don't provide airtime service. But I like to get my customers connected with service. I end up turning away many hundreds of potential customers every year because they live in a non-FLEX protocol area and I don't know a service provider in their area to direct them to. Is there a list or some type of database that can help me connect the customer to the service provider in their area? Most of my customers are either Fire Dept. or Health providers that know what they need and or have the info I need to program the pagers I sell. But the hundreds of customers that I have to turn away is enough to concern me that there is a decent amount of these rural service providers not getting more business because they aren't accessible to people who do business outside their area. Another issue is service providers like Indiana Paging, who are much much bigger, but won't allow my customers to get service because they didn't buy the pager from them. 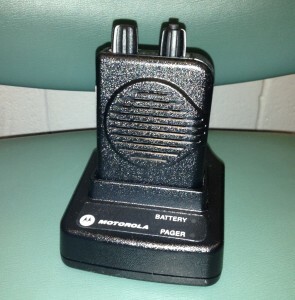 Several times my customers have bought the non-Motorola product they offer just to get the frequency and cap code so they could get the Motorola pager they wanted from me so I could program the pager with the correct info. Indiana Paging would rather turn away a customer and a loss of airtime revenue, because they don't get the profit from the sale of the pager. That's just bad business. Even Cook Paging, another large service provider out west, makes me or the customer jump through hoops to get a cap code that will work on their system. At least with these 2 service providers there are other service providers in their coverage area that can be put on a FLEX protocol. If there was more cooperation from companies like these and the available info on the small rural service providers, there would be much more opportunity for them to grow their customer base. Just a thought. Your editorial comments in the Newsletter last week ( issue 527 Oct. 12, 2012 ) are right on the money. Everyone in our industry believes that paging is still the best solution for certain niche markets and one niche that clearly demonstrates a penchant for paging is the hospital/health care market. 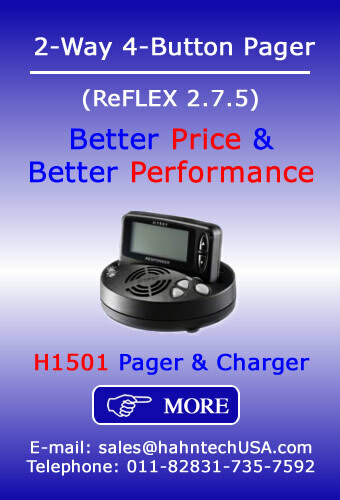 It follows that the paging industry must focus on such viable niches but, in order to gain the attention of our audience, I do not believe that simplistic “we're better” or “more reliable” arguments are sufficiently compelling. Rather, I believe, that we need to identify specific features and characteristics that make paging superior within a niche and then figure out ways to circulate those facts to potential customers in a persuasive way. It seems to me that their small size and light weight make pagers most attractive to people who move about on foot while working (as opposed to sitting in vehicles or at desks where large screen devices can be regarded as practical) Nurses, doctors and hospital staff fit this “on foot” job description. Consider the “throwaway battery” which is uniquely available in pagers and which is invaluable in multi-shift operations where the device (pager) must be passed from one user to another at shift change. Devices that need to be placed in a charger make this activity less flexible. Consider cost. In the hospital environment, cleaning staff, patient transport staff and other non-medical employees often need mobile communications more than doctors and nurses. While it may appear reasonable to provide expensive smart phones to doctors and medical staff, it is clearly less desirable with regard to the more numerous non-medical staff. “Bigger ain't better.” The enormous number of users on cellular networks creates traffic overload during emergencies to guarantee that important calls will be blocked. Paging networks are dedicated to a more limited number of specialized users to assure message delivery when they are most needed. The above advantages are important to users, they are documentable and they are demonstrable. There are, of course, other advantages to paging such as improved in-building coverage and the efficiency of group calling. I have chosen not to include these in this discussion, not because they are untrue, but because in my opinion they have been overused and are often not demonstrably better than competing technologies. I would encourage other readers to share additional thoughts and ideas all of which can be used to educate the marketplace in support the paging/messaging industry.